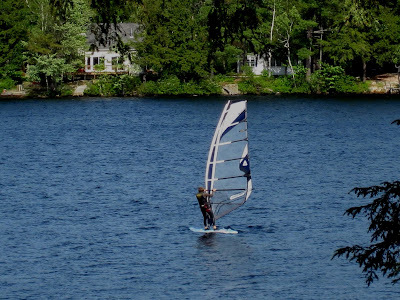 The unofficial start of the Lake Wicwas summer vacation season began with a bang on Memorial Day weekend, with some fabulous summer weather. The thermometer read 90.0 degrees on Saturday. 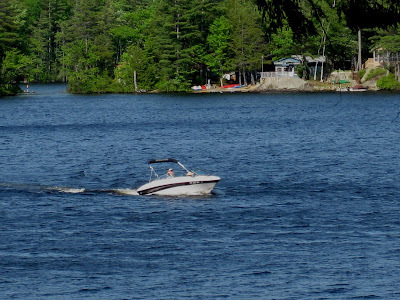 There were lots of boats out on the lake, and people were swimming in the cool, but not frigid water. 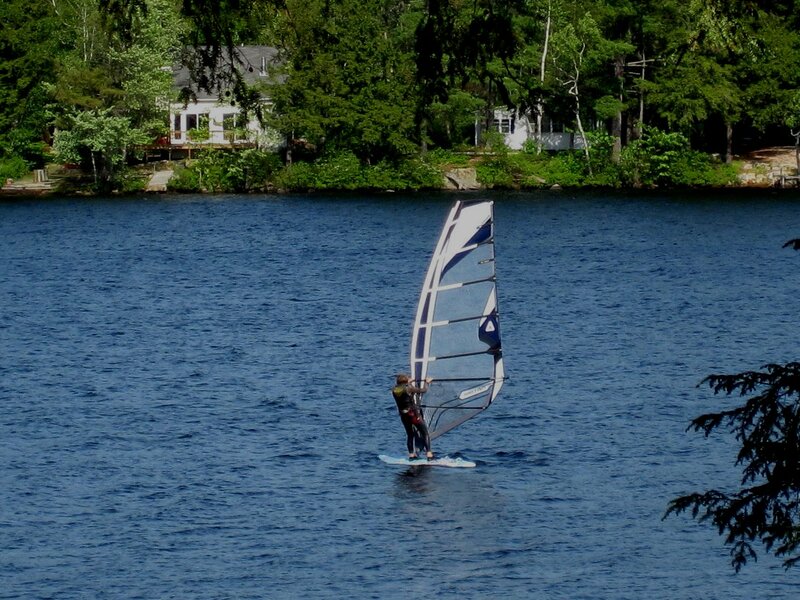 The resident Lake Wicwas windsurfer was out already, enjoying the warm breezy weather! The white pines have started to dump their load of pollen into the lake. It's not as bad as some years, but there's still a moderate layer of yellow-green on the surface of the lake, and a ring of yellow showing the high water mark of a few days ago. The water has dropped at least six inches in the past four days, and it's still going down, as the dam is set perhaps five inches below full level. Yesterday in one of the marshes I came across the largest snapping turtle I've ever seen - it's head alone was as big as - well, maybe you'd rather not know.... 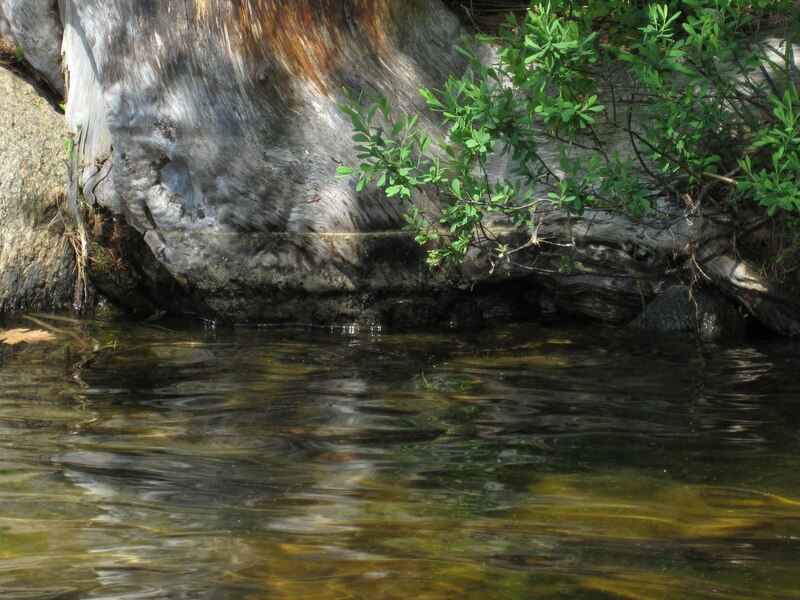 It was swimming just below the surface and didn't seem bothered by me until I bonked it with my paddle. I'm pretty good with the creatures in the lake, but this gal was a little creepy. 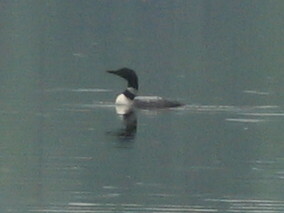 I saw a pair of loons poking around looking for a nesting site on Friday, and since then I've only seen a single loon. Maybe they've found a spot to nest. Let's hope so - it's been several years since they've had a successful nesting. The newest house on Lake Wicwas is taking shape quite nicely now - it's going to be a beautiful house that really is matched well with the lot. It's great to see how well both of the new houses this year blend in with their surroundings. The lady slippers are blooming now, another of the most spectacular flowers in New Hampshire. 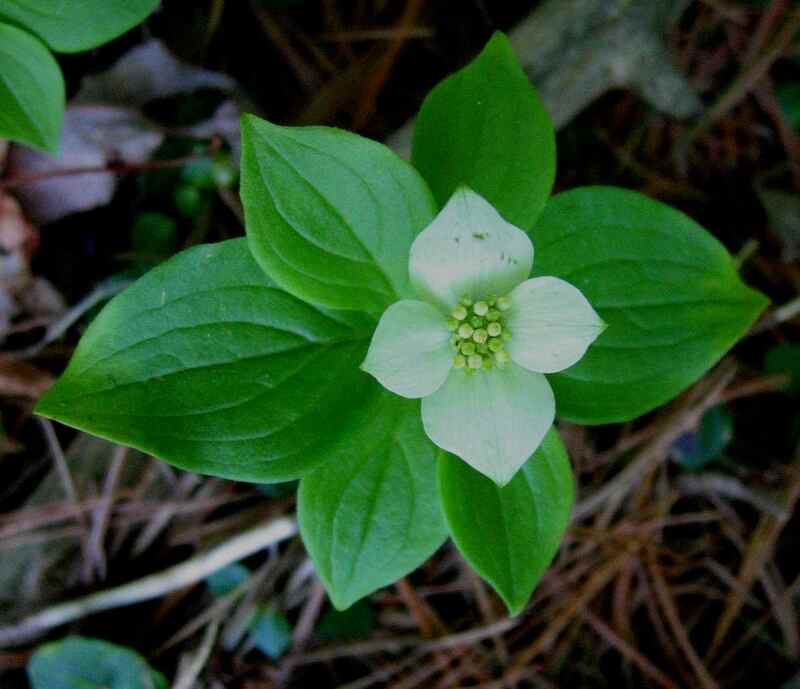 The forest is also covered with bunch berry blossoms, a prelude to their red berries later in the summer.